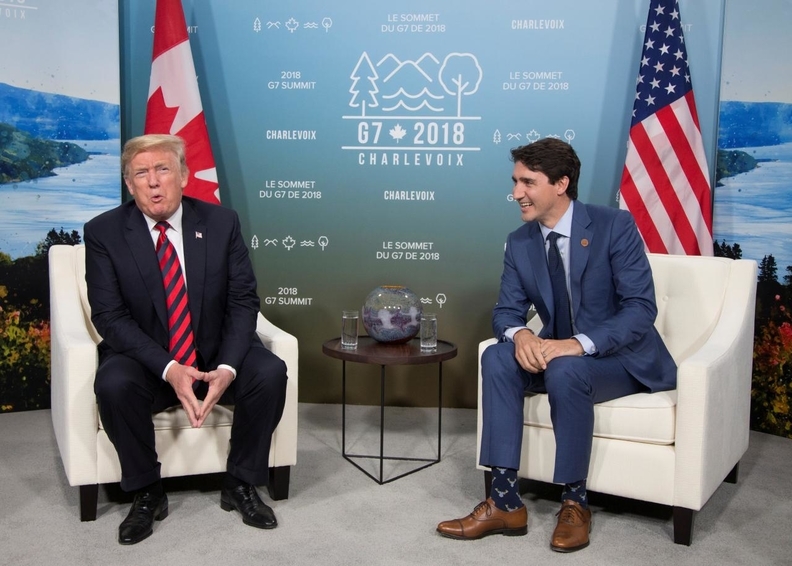 U.S. President Donald Trump and Prime Minister Justin Trudeau haven't been able to agree on a solution to metal tariffs. Editor's note: A version of this editorial ran in the Feb. 11 print edition of Automotive News. There's a lot to hate about the global trade war, started by U.S. President Donald Trump and now raging worldwide as nations threaten to pile tariffs upon tariffs in misguided fits of economic hostility against foes and longtime friends alike. The actions that started the shooting match — highlighted by U.S. tariffs on steel and aluminum imports, including those from Canada — are ill-conceived and self-defeating. But they have done one good thing: exposed the backwardness of economic nationalism in a global age. Germans slow-walk investigations of diesel-emissions cheating that centre on their domestic automakers. Italians move product from more efficient plants abroad back to Italy to placate powerful domestic unions. Americans complain loudly about vehicles being made in Mexico by U.S. automakers, but show no willingness to raise their monthly car payments to accommodate higher U.S. labour costs.